New Quay is a fortunate seaside resort with not just one beach but three beautiful beaches and two harbours. New Quay, or Cei Newydd, is located on the Ceredigion coastline between the towns of Aberaeron to the north and Llangrannog and Aberporth to the south. Originally, a fishing village New Quay later developed as a shipbuilding centre, reaching its peak in the middle of the 19th Century. In bygone days the residents would hope to catch herring, mackerel, crabs and lobsters, while today, although a small fleet of boats sails from the harbour, the prime catch is tourists. 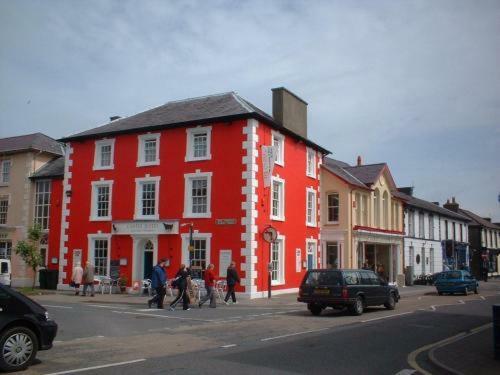 On this page you can find information on New Quay Wales. Walesdirectory.co.uk, where you can find where to go, what to see, and where to stay in New Quay Wales.